Discover great works of art amid stunning views of the Seattle cityscape, Puget Sound, and the Olympic Mountains in this breathtaking nine-acre park. A one-time donation of $5.00 will be added to your mobile phone bill or deducted from your prepaid balance. Donor must be age 18+ and all donations must be authorized by the account holder. Scroll down to see FULL TERMS. The Olympic Sculpture Park opened on January 20, 2007. Seattle celebrated with two days of live music, art, dance, artist demonstrations, and more. Some 35,000 took part in the festivities. The park was designed by Weiss/Manfredi Architects, along with Charles Anderson Landscape Architecture and other consultants. SAM proudly supports a healthy and sustainable green space through incorporation of native plants in the park, monthly beach cleanups by volunteers, reduction of chemicals and pesticides in our landscaping, and efficient irrigation with a time- and weather-based watering system. We make it easy for visitors and staff members to recycle waste, to compost food and plant material, and to use public transit, carpools or bicycles to get to the park. 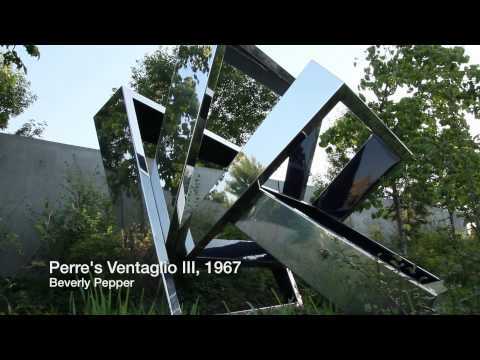 Watch this video to see some of the park’s amazing permanent sculptures. Filmed by Wayne Devin, 2012. Starting in 1910, the Olympic Sculpture Park site was operated as a fuel-storage and transfer facility. It subsequently became a contaminated brownfield before the Seattle Art Museum proposed to transform the area into one of the only green spaces in Downtown Seattle. Cleanup of the site began in the 1990s, which involved removing 120,000 tons of petroleum-contaminated soil and installing a groundwater recovery system. The restoration project introduced engineered soil to reduce the need for storm-water runoff treatment as well as plantings of dense tree canopies, understory vegetation, and ground covers. Restoring the original topography revived microclimates, offering more diversity for plant and animal life. Efforts on the shoreline focused on creating foraging grounds for Chinook salmon, developing a pocket beach with native plantings, and introducing a subtidal habitat bench. With these and other efforts, SAM improved habitat along the shoreline and enhanced public access to the Puget Sound waterfront. The Olympic Sculpture Park is separated into five different areas, with beautiful art and an array of plants and bird life native to the Pacific Northwest in each. Adjacent to the PACCAR Pavilion and the Gates Amphitheater, the Valley is an evergreen forest most typical of the Northwest's lowland coastal regions, featuring tall conifers such as fir, cedar, and hemlock, and flowering shrubs and trees associated with moist conditions. Living examples of ancient trees once native to Washington, such as the ginkgo and majestic metasequoia (dawn redwood), are also found here. Flowering perennials, ground covers, and ferns define the forest's edges and pathways. This meadow landscape, with expanses of grasses and wildflowers, meets the sidewalks to achieve a "fenceless" park, providing flexible sites for sculpture. The Grove is a forest of native aspen that defines the park's transition from city to shore. Although most closely associated with the dry landscape east of the Cascade Mountains, native aspen are also found in dry coastal sites in the Puget Sound region. The Grove, with its understory of native currant and iris, dramatically reflects the changing seasons, in contrast to the continually green Valley. At the Shore, plantings were designed to support habitat for salmon recovery as well as to enhance public access and generate interest in the Puget Sound's distinct shoreline ecosystem. The naturally developing tidal garden features kelp, algae, and other intertidal-zone plants that are revealed and concealed with the changing tides. Across Elliott Avenue from the North and West Meadows, the East Meadow is a sloping field of grass and wildflowers designed to create a regenerative landscape as a setting for sculpture. 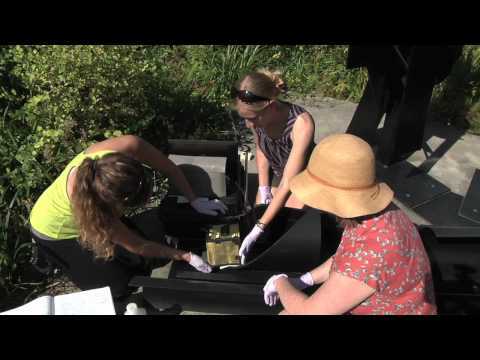 SAM's Conservation Department and Portland State University collaborate on a project to examine the protective coatings of the sculptures. 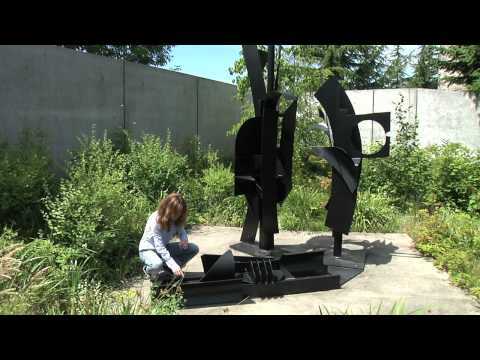 The Olympic Sculpture Park is open and FREE to the public 365 days a year! Opens 30 minutes prior to sunrise Closes 30 minutes after sunset. A one-time donation of $5.00 will be added to your mobile phone bill or deducted from your prepaid balance. Donor must be age 18+ and all donations must be authorized by the account holder. By texting YES, the user agrees to the terms and conditions. All charges are billed by and payable to your mobile service provider. Service is available on most carriers. Donations are collected for the benefit of SAM by the Mobile Giving Foundation and subject to the terms found at www.hmgf.org/t. Message and data rates may apply. You can unsubscribe at any time by texting STOP to short code 52000; text HELP to 52000 for assistance.